Kevin McDonald is the University of Missouri System’s Chief Diversity, Equity and Inclusion officer, and the University of Missouri’s Vice Chancellor for Inclusion, Diversity & Equity. 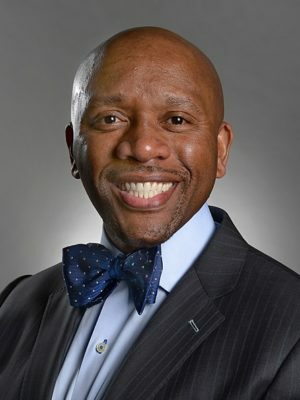 He came to Missouri after serving as vice president and associate provost for diversity and inclusion at Rochester Institute of Technology (RIT). As a diversity and inclusion professional, McDonald has developed a significant track record of transformational contributions toward organizational equity, diversity, and inclusion goals. His efforts revolve around inextricably binding organizational pursuits of excellence with diversity and inclusion efforts. From access and success, to education and scholarship and institutional infrastructures, Dr. McDonald has worked collaboratively to create initiatives that positively impact policies, practices and processes. Prior to RIT, he held positions at several other universities, including vice president for equity and inclusion at Virginia Tech, associate director for compliance and conflict resolution at Johns Hopkins University, and campus compliance officer at the University of Maryland, College Park. Prior to his work in higher education, McDonald worked for the U.S. Department of Justice and for Network Solutions, Inc.
McDonald holds a law degree from The Ohio State University and a doctoral degree in higher education leadership from the University of Rochester. He received his undergraduate degree in psychology from Andrews University in Berrien Springs, Mich.